Bulgaria's Environment Ministry made BGN 2.259 M in 2010 from the much celebrated concessions of mineral water sources around the country. The modest 2010 revenues came from the 26 concessions of a total of 40 mineral water springs amidst public debate on the use of Bulgaria's substantial mineral water resources. Various experts and state and municipal officials have been pointing to their untapped potential as a source of wealth for many poor Bulgarian municipalities. 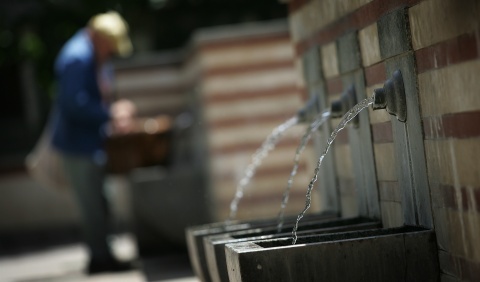 In April 2010, exactly a year ago, Environment Minister Nona Karadzhova announced the intention of her institution to authorize local authorities to offer on concession about 60 mineral water springs (out of a total of 102 springs in Bulgaria), which are currently not being utilized. The 2010 revenues from mineral water concessions are about the same as those in 2009 – about BGN 2.5 M even though a year ago the Environment Ministry predicted that the 2010 returns will reach BGN 3.06 M.
In 2010, the Bulgarian Ministry of Environment and Waters got another BGN 221 000 from the Yulen company for the concession of a ski zone near the winter resort Bansko which is part of the Pirin National Park.